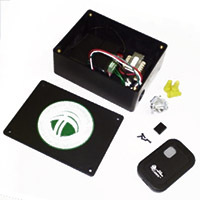 The TTi-HVRC Remote Control Kit is for use with the HV1000 whole house fan. The kit is an easily installed hand held radio frequency remote. Installing this tool allows you to connect the whole house fan to a wall switch. It is convenient and can be used easily throughout the home.